Hey, everyone! 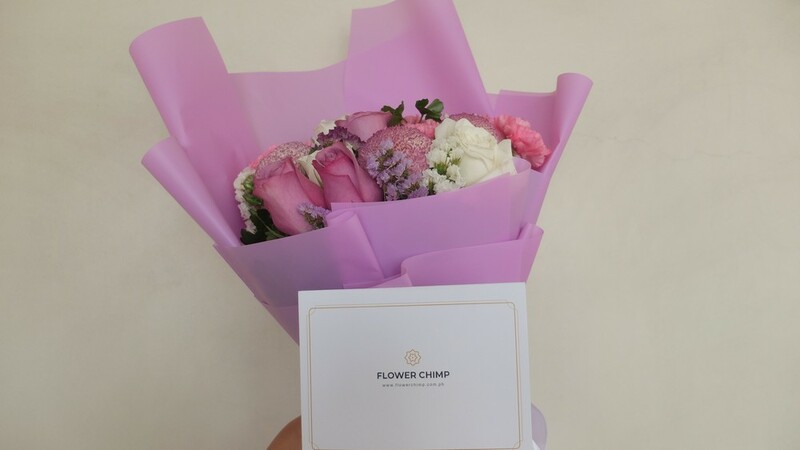 Do you guys remember when I wrote about Flower Chimp, an online flower delivery service, last May? It was just in time for Mother’s Day, and they sent my mom the most beautiful bouquet of roses and carnations. A few of my readers and followers even ordered from them to give to their mothers as well, and while majority were happy with their service, about 2 or 3 had problems with theirs due to the volume of orders that Flower Chimp received during that period, and not having enough manpower to deliver all the orders on Mother’s Day. It was something I raised to their team, and they were genuinely apologetic about it. 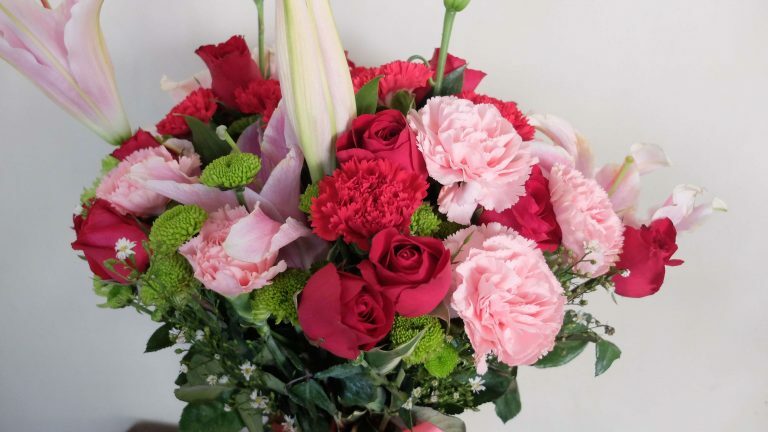 They also assured that this coming Valentine’s Day, they’ve prepared their team and their logistics to be able to handle all the orders nationwide. While last time, it was my mom who received the special bouquet, this time—it was me! And boy, do they know me well. The bouquet they sent was a breathtaking arrangement of lilac roses and carnations wrapped in lilac paper, and it honestly made me consider using it as a peg for my bridal bouquet in September! I’ve had the flowers for over a week now, and I’m impressed that they’re still alive (although a few have started to naturally wither). I just placed them in a vase with water and bleach, to lengthen its life span for as long as possible. It’s honestly the most convenient way to make someone feel special, especially if there’s not enough time to visit an actual flower store. 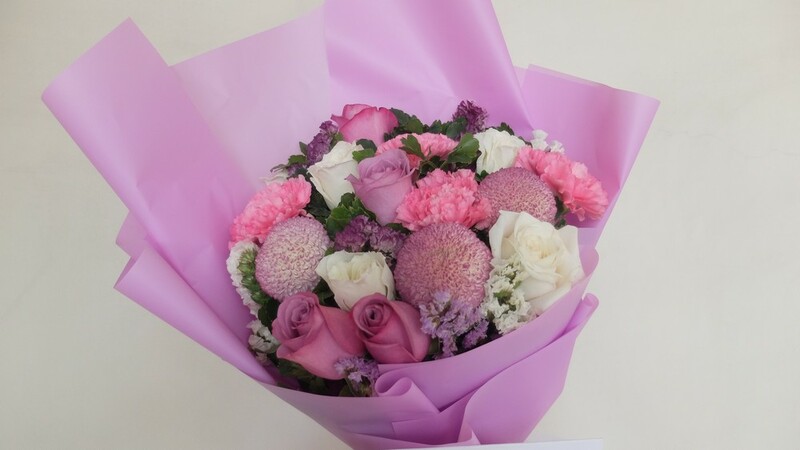 If you want to place your orders ahead of time, Flower Chimp can definitely accommodate you! Just visit their website or call +6326396736 anytime from Monday to Friday, between 9AM to 6PM. unfortunately, i am also one of the people who got scammed this valentine’s day. i’ve seen so many complaints since yesterday on their facebook account but guess what, it got deleted. if i were you, i wouldn’t endorse them!! the hassle this flower shop have brought to so many people is beyond. its been two days now since vday and we frankly don’t even know if we are gonna get a refund. can’t contact them and yet they have the audacity to upload a new photo like nothing is going on. I’m so sorry to hear this! They assured me they fixed their logistics to handle the volume of orders this time. Can I get your order number? Or do you mind me sharing your e-mail address to them? I can e-mail their management to expedite this as soon as possible. I actually heard from other friends that it wasn’t only Flower Chimp that struggled this Valentine’s Day. Even competitors and other online flower shops struggled as well.